I feel like I'm doing well with my reading this year and while my to read pile is going down the lure of new (to me) books is pretty strong. 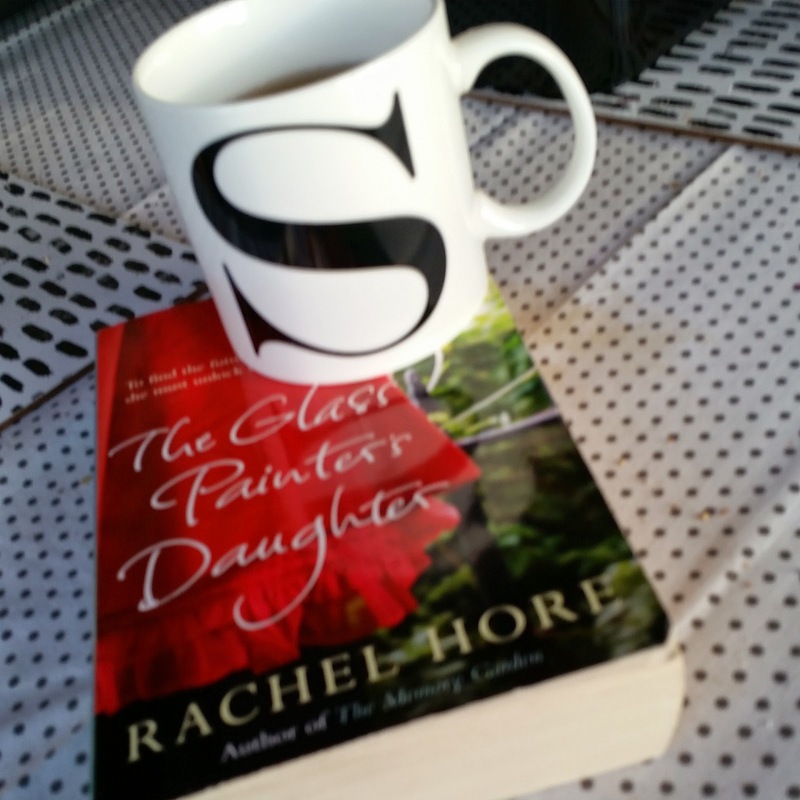 I've had this Rachel Hore book on my book shelf for a good 12 months. I've enjoyed every book of her's that I've read and I'm really not sure why I put it off for so long as I really enjoyed it. Fran has to urgently return from Europe where is travelling with an orchestra as her father has been taken ill. Her return see her taking over the running of the family's stained glass business, reconnecting with old friends and integrating with the local community. She joins the local choir and has a romance with the conductor. Her relationship with her father was a tense one and she makes a discovery that the local vicar seems to know about her father than she does. He does feel it's his place to share the things he knows and she has to hope her father will recover. The story is centres on the vicar asking Fran's business to restore some existing windows in the Church and also she's her fragments of a window damaged in a bomb blast during the war. Fran looks through the family archives to see if she can find out more about the window. In the process of looking for the paperwork she comes across a diary written in the 1800's by Laura the then vicar's daughter. The book then flits back and forth between the past and present. Laura's life helping her mother help the needy of the parish and in the present the parish has a hostel for young women helping them get back on their feet. It show's Laura finding her way in the world and how the windows came to be commissioned. Fran's striving to find her place back at home, caring for her father while discovering truths about her own family, making friends, taking on an apprentice and coming up against troubles in the business. The book has a theme of angels through out with the window they want to restore an angel and each chapter has a quote about angels which was a really lovely touch. I liked the pace and I liked how we found out the back story of some of the characters. I also liked the parallels between the past and present. There were also some parallels between some of the younger and older characters in the present. It was really well done and it flowed nicely. I read a lot of books that are set in two time periods and until last year I always said I didn't enjoy them but clearly I do or I wouldn't keep reading them. This book flowed nicely and didn't leave you in one time period for so long you'd forgotten what was going on or left you confused. For me there was also an issue when one of the characters just upped and when to Australia (They went for a good reason) Then they just decided to travel round, I don't feel like this would happen? What about bills, what about coming home. It didn't sit well with me. This is a good read, it has a nice pace and the characters are well formed. It made me laugh and cry and while parts of it annoyed or irritated me, it also left me wanting to know more about some of the people. I could happily read two more books with the same people one focusing on Zak (the dude that went to Australia) We found out small snippets of his life. He's come to London following a girlfriend and when she left to go back to Australia (aye you guessed it) Fran's father gives him and job and become a mentor to him. I'd like to know his story properly from him leaving Glasgow (I think) up to where this story starts. I'd also like a follow up of Amber the apprentice Fran takes on. A young girl from the church centre, who has tales of angels and Fran and Zak mentor and train how to create stained glass. I like books that make you want more. This sound like an interesting book that I might pick up at some point! I only wish I have more time to read! I've never even heard of this book, it sounds like a decent read I will keep my eyes peeled.